Vernier Software and Technology came out with an Apple app that allows you to record videos in your everyday life, and then analyze its data. "Vernier Video Physics for iOS brings physics video analysis to iPhone, iPod touch and iPad. Take a video of an object in motion, mark its position frame by frame, and set up the scale using a known distance. Video Physics then draws trajectory, position, and velocity graphs for the object. Share video, graphs and data to facebook, your Photo Library and to your computer running Vernier's Logger Pro software." "Video Physics is perfect for physics students and instructors. Perform on-the-go analysis of interesting motions. Measure the velocity of a child's swing, a roller-coaster, or a car. Or, take a video of a basketball free throw shot. Video Physics will display the path of the ball and provide graphs of Y vs X as well as the X and Y position and velocity as a function of time." After you record a video, there are just three easy steps to perform in the application to get your data analysis. In the app, create a line between two points of a known distance (include units). Track the motion of the object in the video for every frame, by simply tapping on the screen, following where the object moves. Adjust the coordinate plane (x and y axis) to your preferred position. Then you simply hit the Graph button and it plots all of your data for you. After you are finished, it automatically creates a video for you and saves it to your camera roll. I then used iMovie to add sound effects and background music to make the video more exciting. I did all of this without even touching a computer. It was all done from my iPod Touch. After my students engineered their catapult, they created this video. Encourage students to ask their own questions about the graph. 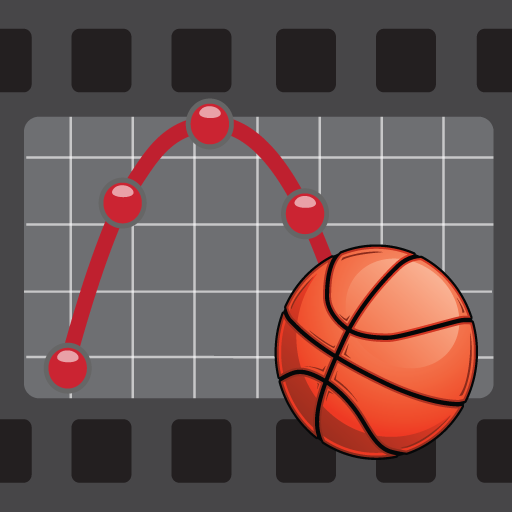 Before they watch the video or know about the event, have them look at a graph to predict what type of event might have created the data for the graph. How would you use this application in your math, science, or technology class? That's a unique app. I'd love to learn more about the physics of objects I video using my trail camera.